Chipping Norton beat Hook Norton by three runs in Tuesday’s Banbury Indoor Cricket League fixture. The division one fixture went down to the last ball as Chippy posted 139-2 with Jason Tilcock 28no and Liam Manley 26 top scoring while Jordan Glazier took 1-57. Hooky reached 136-9 with Dickie Knight 36no and Tom Bartlett 25no leading the way while Jim McGowan took 1-57. 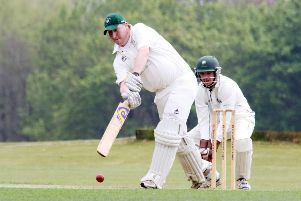 Cropredy beat Banbury by four wickets. Banbury reached 28 without loss but were shot out for 56 runs with Ali Short 28 and Richard Simpson 15 the only batsmen to cope with Richard Lynch 1-7 and Mark Twynham 2-19. Joe Fox 10 and Lynch 8no saw Cropredy home. Sandford St Martin beat Banbury Veterans by a singlewicket. Veterans were dismissed for 78 runs with Paul Cutler 28 and James Mitchelmore 17 top scoring while Chris Thompson took 1-20 and Tom Goffe 3-20. Lewis Anson 35no batted out four overs as he and Thompson 23 led Sandford to victory despite Ollie Murrey taking 3-27 and James Risbridger 1-35. Ruscote beat Castlethorpe by 37 runs. 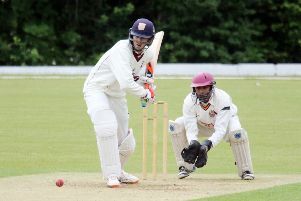 Banas Ali 33no and Immy Hussain 29no helped Ruscote to 134-3 in ten overs while Stuart Holmes took 2-63 and Colin Piggott 1-44 which proved too much for Castlethorpe.